Content is hot in any industry you look, so look no further for the best B2B content marketing advice than the Content2Conversion conference in New York. Featuring an all-star lineup of B2B Marketing speakers including: Ardath Albee, Ann Handley, Joe Pulizzi, Michael Brenner, Rob Yoegel and senior marketing executives from Aberdeen Group, Adobe, Avaya, Compendium, Curata, Eloqua, Kapost and more means all bases will be covered. 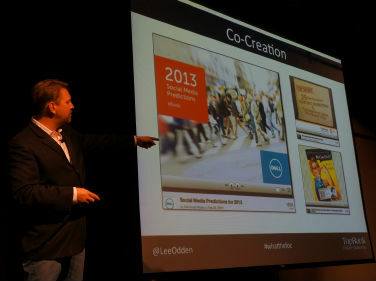 TopRank CEO Lee Odden will be doing his part to contribute to the B2B content marketing brain trust by presenting on an integrated approach to search, social media and content. Essentially, how to optimize your inbound marketing to drive demand for products and services. 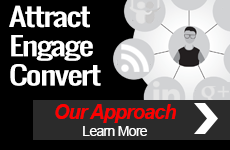 He’ll be sharing the Attract, Engage, Convert model for content marketing optimization that has been instrumental for numerous Fortune 1000 companies as clients of TopRank Online Marketing. This is a 2 day event right on Times Square. Here are the formal details of Lee’s presentation. If you’re in the big Apple, you can miss this event. 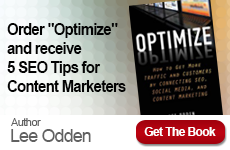 Join author and consultant Lee Odden as he explains how to optimize inbound marketing campaign investments for better performance. Through an Attract, Engage, and Convert framework Lee will share case studies that illustrate how leading marketers are reaping rewards from integrating content marketing, social media and SEO. Here are the details on the entire conference agenda and registration information.